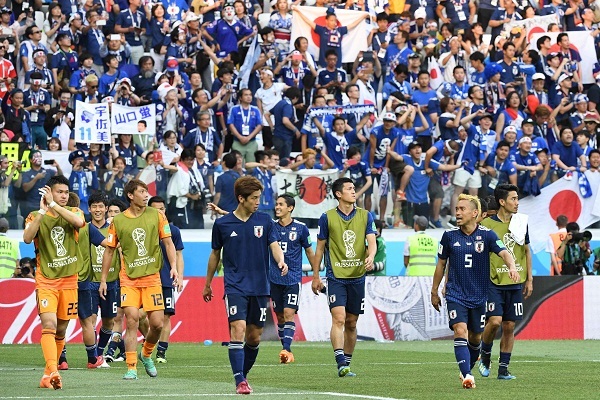 This week has been a busy one for two East Asian sides. First, we saw South Korea defeat Germany 2-0, this was followed by Japan reaching the last 16 of the World Cup despite a 1-0 defeat to Poland. In the most bizarre of circumstances, Japan qualified above Senegal due to having two yellow cards less. A lot of people have criticised this process that they progress on the grounds of a better disciplinary record. Myself I think it is more than fair as for a better disciplinary record to even come in to play Japan had to have scored and conceded the same amount of goals as Senegal. Along with this, they had to be level on points. While admittedly it is an odd way to choose the team in the last 16 with goal difference level and points. While the two sides also drew with each other there had to be another deciding factor that could come in to play straight away. In a lot of leagues a tie like this would result in a one-off playoff game and with the World Cup on a strict timetable this of course was not a possibility. Then with all other scenarios played out, FIFA decided to go with the best disciplinary record as the final decider. Away from all of that however you put it Japan is in the last 16 of the World Cup and will face Belgium for a place in the quarter-final on Monday evening. 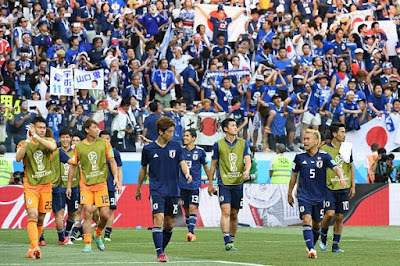 This will be a very tough ask for the Blue Samurai and they must show the displays they did in the second half against Colombia and Senegal to stand any chance. Before today Japan hadn't reached the last 16 of the World Cup since 2010 where they lost to Paraguay on penalties after a 0-0 draw in Pretoria, South Africa.